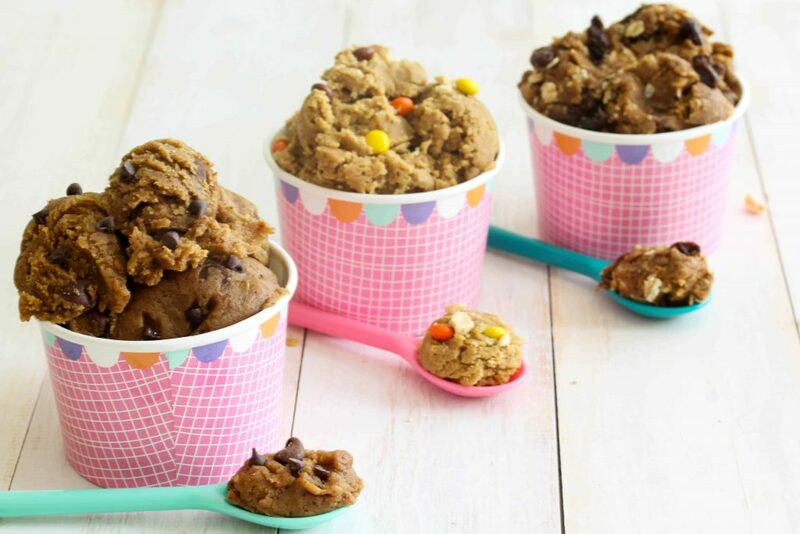 Your dreams of eating cookie dough straight from the bowl is about to come true! 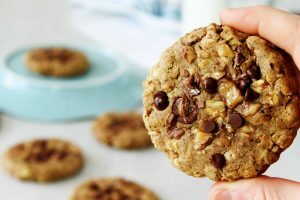 If you love chocolate chip cookie dough, peanut butter cookie dough, or oatmeal raisin cookie dough, I’ve got you covered with these eggless recipes that only take 10 minutes to make! Guys, it’s HOT! And sweltering heat means the beginning of people telling you that it is, in fact, hot. (guilty). And the beginning of you walking outside and wishing it wasn’t so hot. And you wanting to go back inside until it’s less hot. So, basically until….September. I say all that to say, when it’s too hot outside to function the last thing you want to do is turn the oven on and make the inside feel like the outside. 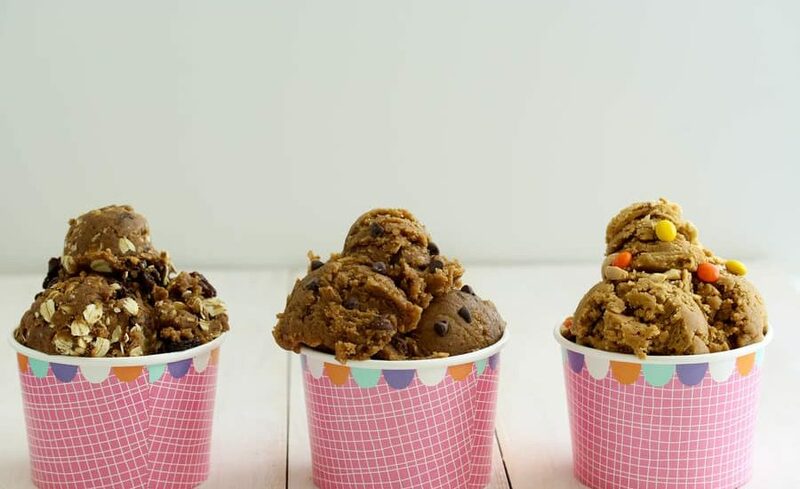 Which is why I’m sure these 3 no-bake edible cookie dough recipes are going to be your go-to summer snack! 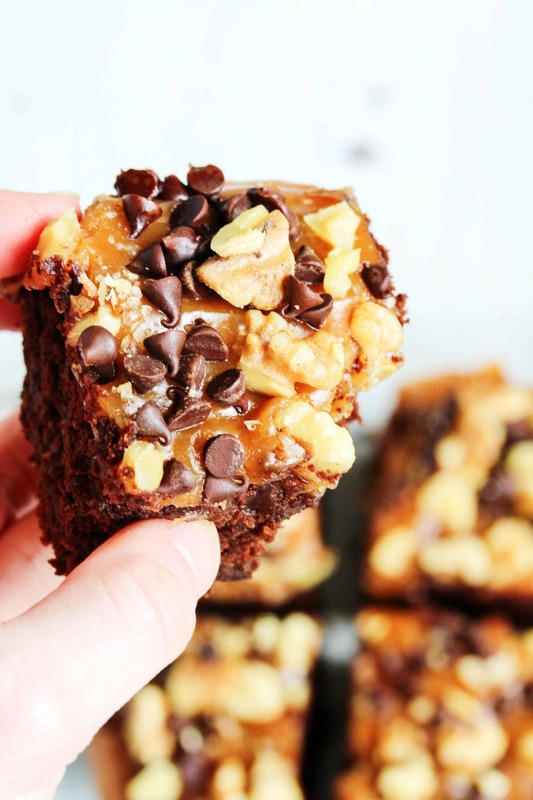 Not only are they ridiculously easy to make, they’re ridiculously tasty! 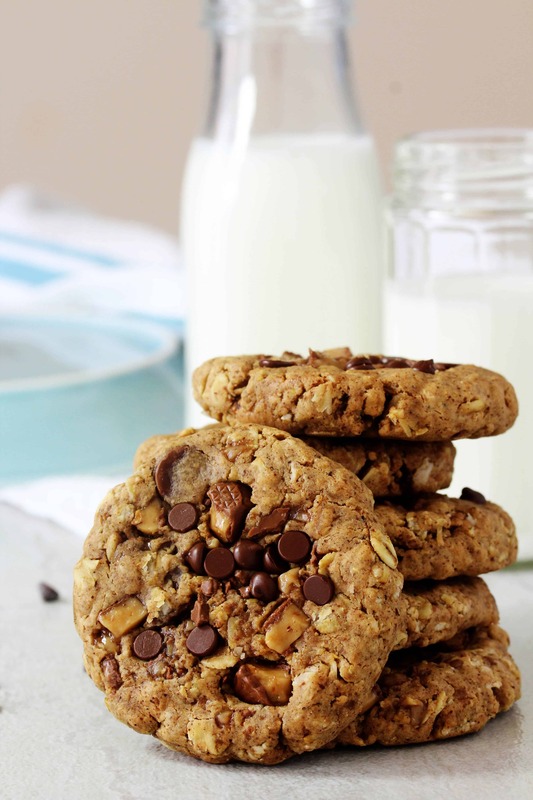 To make them, all you need is 1 bowl, a handful of ingredients, and about 10 minutes. Just stir all the ingredients together and you’re done! 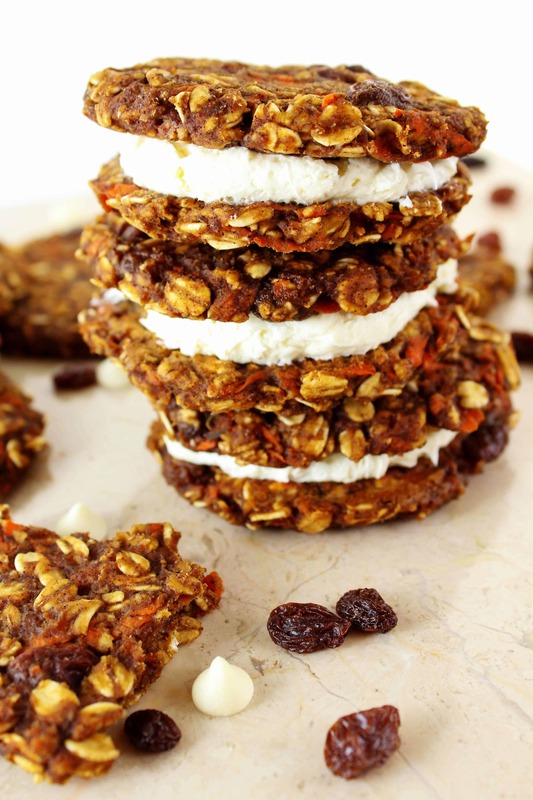 Want to know what else is so great about these no-bake recipes? That science-y thing that’s required for baked goods to turn out right kind of goes out the window! Which is why there are so many modifications you can make to these recipes to tailor them to your dietary preferences. 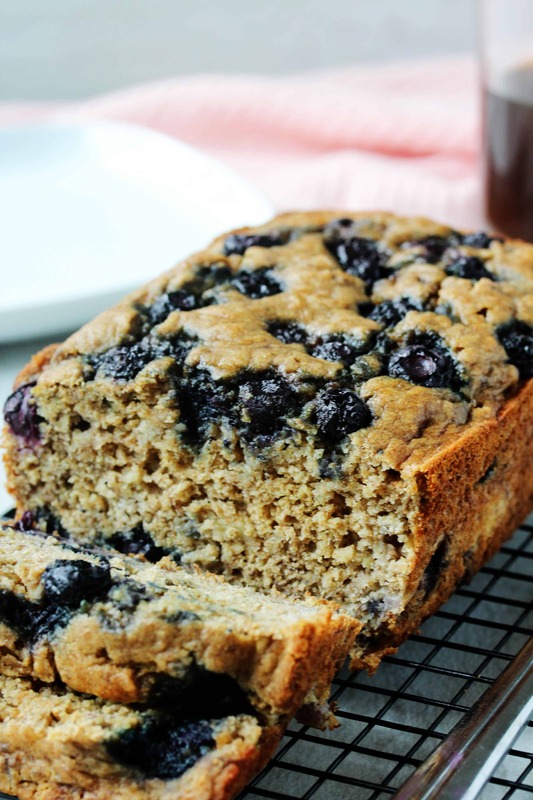 All 3 recipes can be made vegan, gluten free, low FODMAP, grain free, and paleo. 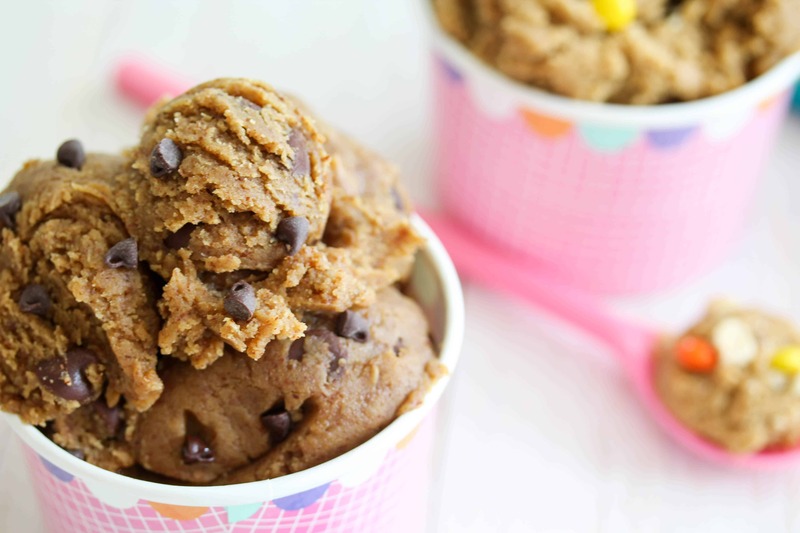 Not to mention, each cookie dough is refined sugar free and high in protein. Now, about the protein powder. I’ve done a lot of experimenting with these recipes. (Mostly because they’re just so good that I kept eating them all and needed to make more, so why not experiment!) I’ve used soy protein, rice protein, a combo of both, and whey protein. All worked great besides the whey. It wasn’t terrible, but the consistency/texture was a bit gummy. I would highly recommend using a plant-based protein because they act more like flour and don’t give you the gummy texture. I also really like the My Protein brand protein powders because they don’t have any added artificial flavors or fillers. Just straight up protein powder! Also, if whey protein was all I had it totally wouldn’t stop me from making, and subsequently devouring, some cookie dough. Let’s be honest. 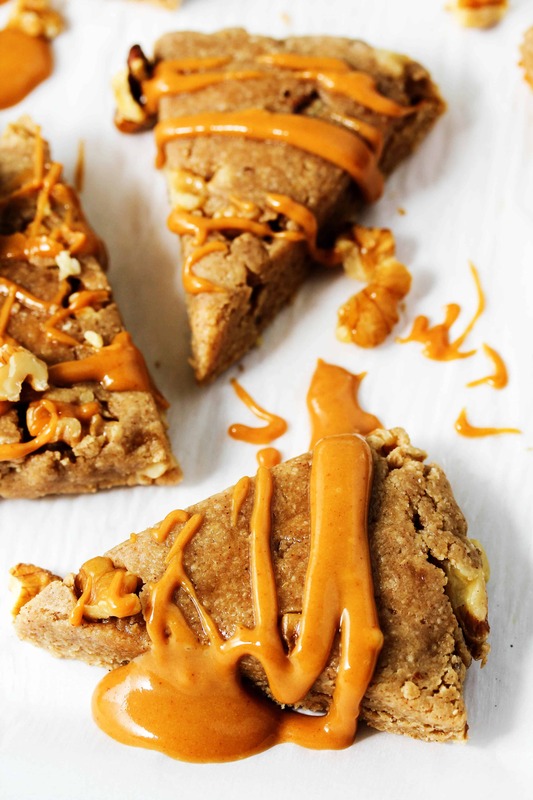 And, you’re going to want to use a natural nut butter for these cookie doughs. Natural nut butters don’t have added ingredients like sugar, salt, and other things that keep the oil from separating. We actually like this for 2 reasons. 1. we can control the amount of sugar and salt added. And 2. when you stir the nut butter and homogenized (<-fancy science-y word 😉 ) everything again, the butter still has a very “drippy” consistency, which is really going to make it easier to combine all the other ingredients together to make our deeeeeelicious cookie dough! 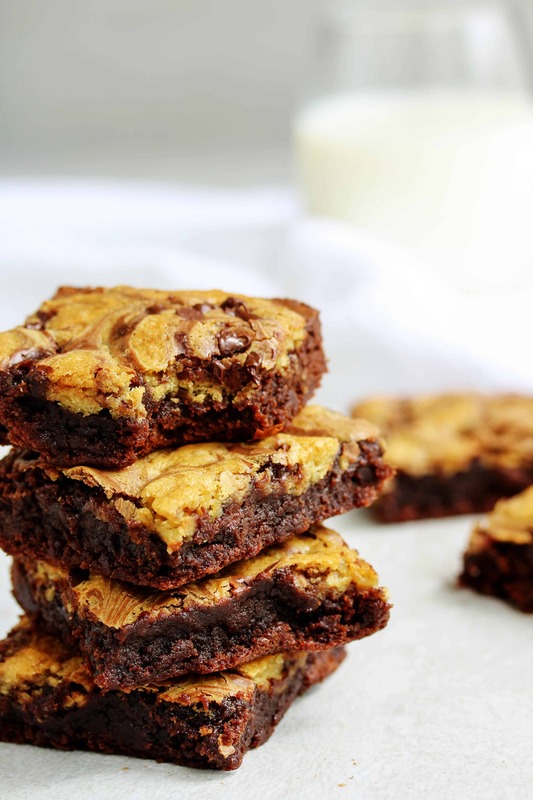 I’m pretty sure if I found a genie and had 3 wishes, each one would be for one of these cookie doughs! 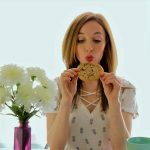 But, you’re in luck because you can get the recipes for some eggless, edible chocolate chip cookie dough, peanut butter cookie dough, and oatmeal raisin cookie dough just by scrolling down! No genie needed. 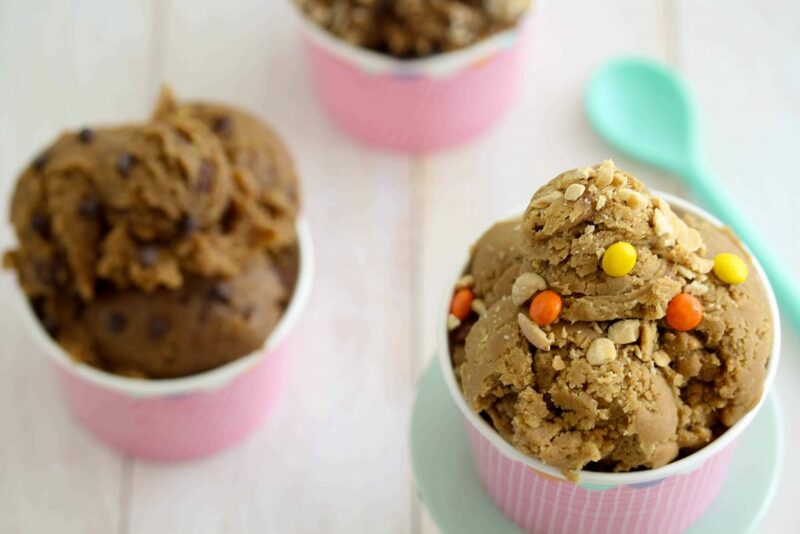 In a medium sized bowl, mix together the nut butter, sticky sweetener, and vanilla extract. Add the protein powder, oat (or almond) flour, tapioca flour, salt, and cinnamon. Stir together to combine. The dough will be a bit crumbly. Add the water, 1 Tbsp at a time, stirring after each addition, until you reach your desired cookie dough consistency. The amount of water added will vary depending on the type of protein powder and flour you use. 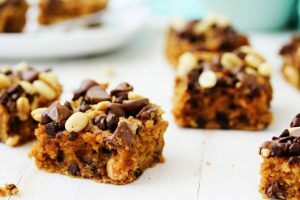 Fold in the mix ins (the chocolate chips, peanuts, or raisins). 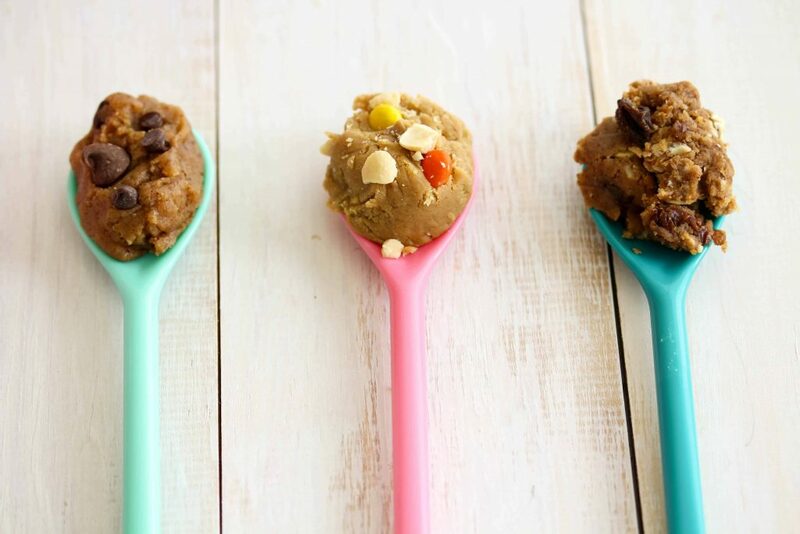 Scoop out your cookie dough and enjoy your sweet treat! 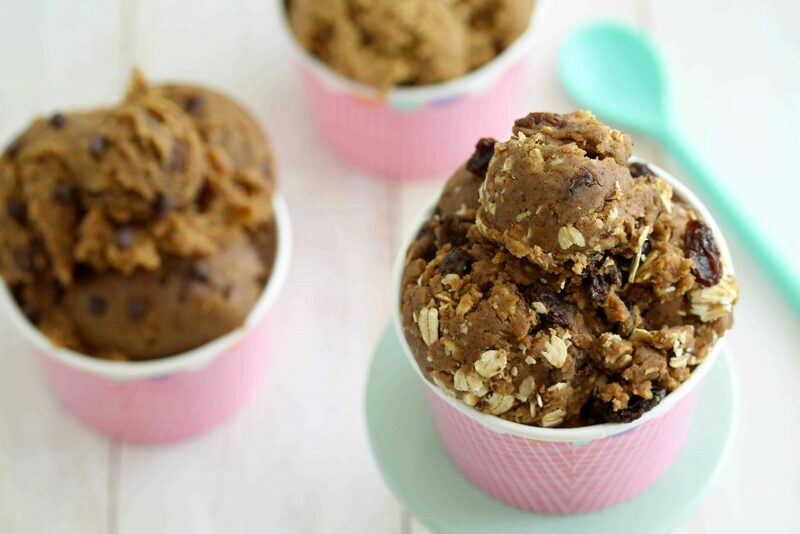 These cookie dough recipes look great but I haven't seen tapioca flour in our supermarket. Can we skip that or sub another type of flour in its place? Hi Lauren! You could use cornstarch in its place. It helps absorb the liquids, so you could also leave it out and add a little less water. Enjoy, it's one of my faves!! 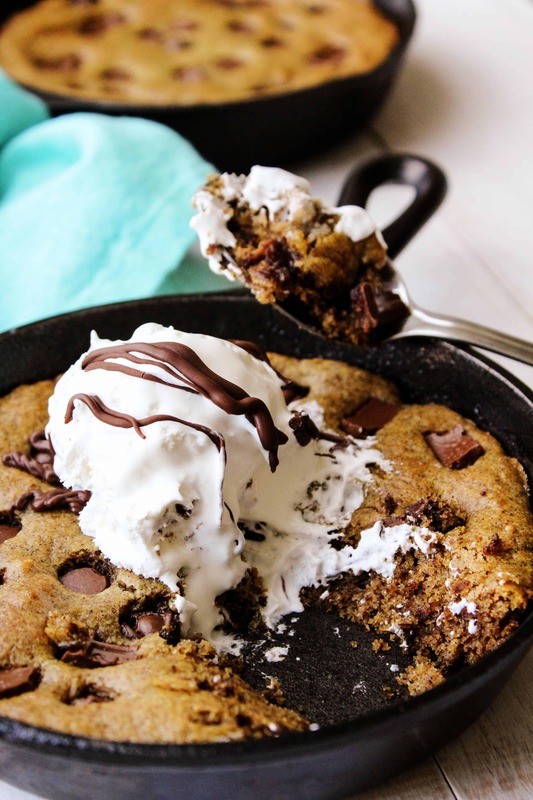 Any chance we can get the macros for this delicious dessert?! Hey Jamie! I don't have the macros calculated, but if you plug the ingredients into a fitness tracker app you should be able to get the info. I really like https://www.myfitnesspal.com/ . These look beautiful! Is there any chance you could sub the protein powder for something else? I find the powders I use can add a funny taste or grainy texture. Thank you! Thank you for answering! I will undoubtedly be experimenting one of these days! :-) Have a beautiful day! Of course! Can't wait to hear your results :) Have a great weekend! 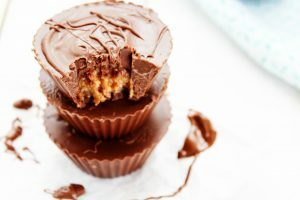 These look wonderful, and I can’t wait to try! Do you think sugar free maple syrup would work for the sticky sweetener and/or would that alter the flavor too much? Hey Ashley! I haven't tried sugar free maple syrup so I'm not too sure about the flavor but it should work in terms of having the right consistency :) Hope that helps!